Stream “Soft Animal” and read an interview with frontman Christian Holden about sad songs, Goodness, and how making music is his job now. People really love The Hotelier. Last Thursday night, the crowd at Fair Folks and a Goat, a “membership café” in Greenwich Village that also sells items like sage-scented soy candles and polka-dotted swim trunks, swelled to maybe 50 when Christian Holden, frontman of the Worcester emo band took his place at the front of the room around 11 p.m.
Holden is technically the group’s bassist, but he promised to do his best with the acoustic guitar he had in hand. He played some songs off The Hotelier’s beloved 2014 album Home, Like Noplace Is There, and everyone—now seated on the floor, per Holden’s request—studiously sang along. Then he decided he wanted to play something new, something these 50 or so devoted fans hadn’t heard yet. So he taught us a few words to a new song. The sing-a-long went on. How does it feel to sing these songs without the band behind you? It feels a lot more comfortable when I play acoustic. I feel like I have a little more control. Sometimes I play a little awkward on stage with a full band, and I feel like when I'm doing an acoustic performance, it doesn't matter as much if I mess up because we're not trying to build a big wall of sound or something. I can just kind of improvise. How does Goodness depart from your last album? It's a progression from our last record in that it's a development on a feeling. There are still a lot of feelings on Goodness, but it sort of evokes peacefulness, calm, and like, constant—not necessarily good, not necessarily bad, but something sort of steady. And there are more stories on this record then on the other records. The stories are a little bit mystical, in a way. Or maybe, a little bit more supernatural and less concrete in the real world. More surreal. Sonically, it consciously messes around a lot with space and around with silence. The last record was all action all the time, it didn't really take time to stop. With this record, in trying to evoke peaceful and calm, we had to mess around with silence and space more, and try to not feed into the body’s desire to want that all-action-all-the-time, to force the listener to be patient. How does it feel to still be playing songs from Home? I feel distant from them. At the time they felt great to me, but I've performed and reproduced the songs so many times now that it's sort of just a jumble of good words with some melodies. I think that's just how it goes, though. I feel particularly passionate at the time that I write it, and if I hate it later, it doesn't mean that it's bad or something. On the eve of the announcement of your last album, you wrote a Tumblr post surveying the “scene” and music business as you had come to know it. What might that post look like today, ahead of Goodness’s arrival? I had a lot of feelings about where we came from then, and things changed. Right now I feel really good about being a working artist and performing the music and interacting with the industry. I feel comfortable in it, and settled and good, and like this is something I could do for a while. Probably at the time I felt worried about going on a full U.S. tour because I felt like it was going to be hard for my relationships. And it was, but my life has molded to fit this, and I like it. It's my job now. It's my duty in this world. I probably would have hated that. I probably would have said it as, “I think the distinction between my art and business...” But now I don't, it's the same thing. I probably just one day had some sort of conversation where I realized that, wait, what I'm doing is really business. And that doesn't change anything. Business isn't inherently evil, but I didn't want to call it work. But now I feel like I just had a negative outlook towards work. Work is what everyone does in this world and it doesn't necessarily need to be undesirable. And it's not for me. Does thinking about this as a job change the music? No, we are still self-managed and I am still my own boss. If the band dried up and died I would do something else, and I also just generally trust my own abilities—I'm not saying that I'm the best artist ever, or something, but I trust that what I'm making is a valid development of the Hotelier sound. So it doesn't really effect it, I still am excited to make music and I have no one putting restrictions on me but myself and the rest of the band. When writing these kinds of songs, how sad is too sad? When we wrote Home, I wasn't thinking of it as a business thing, so I wasn't thinking about how you can sell sadness or how sad is too sad. And I think that's as valid for this next record. Interacting with this next record with a different lens is, I didn't really get too sad on this record. I think that sadness is a valid emotion, just as valid as happy, and sometimes things get too dark, but on this record if there's a sadness it is a solemn sadness; if it's happy, it's gently-above-center happy. Again, it's more about calm and constant than anything. 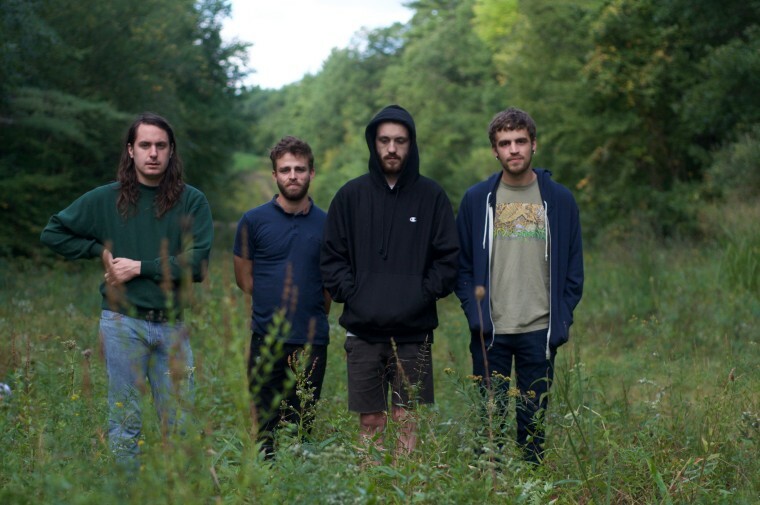 The Hotelier are on tour in Europe now, with U.S. dates to follow. Check the schedule and buy tickets here.